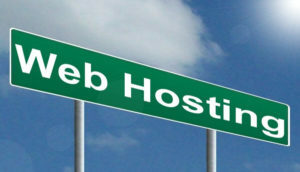 There are so many companies out there that provide web hosting services. To make the hosting plans more affordable and appealing to the users, these organizations tend to offer discounts and special plans. And it seems like they’re pretty much successful at it. As, because of these deals, people blindly go for the respective packages. But the important point to be noted here is, despite there unlimited offering there are still so many things which are limited and if not used under control, your account can lead to termination. Keeping all these genuine and hidden information in mind, we have prepared this quick guide or a list of 10 best web hosting service providers of 2018. This list shares the true, honest and important information that you must know before buying any hosting package from major web hosting providers. Are these discounted offers actually discounted? Unlike other blog writers, we are not mentioning the lowest possible price keeping the renewal and hidden charges, in order to earn affiliation fee. This really is true and honest information, I do have affiliate marketing link inserted to some of those hosting providers but it’s totally upto you if you buy their services. This article is not aimed at earning affiliation fee but providing true and real helpful information so that you don’t get into the trouble of paying hefty amount to your greedy service provider at the time of renewal. This list is also not designed as per the highest commission payer on top instead it’s based on lowest commission payer on top. While choosing a web hosting service provider, or any one of their plans, you need to take an overall look at its features. For instance, Company A might offer you a package in $2 per month with 100 GB disk space, on the other hand, Company B might offer you a package in $5 per month but with 400 GB disk space. Now, while it seems that Company A is making a better offer, it’s actually Company B who is. Another example, Company A offers you a package in $5 per month with 1 TB of disk space, on the other hand, Company B offers you a package in $2 per month with same 1 TB of disk space but only for the first year as a promotional offer and from second year a regular fee of $10 per month applies. Now, while it seems that Company B is making a better offer, it’s actually Company A who is. Company A does not have a price surge every year. Similarly, the companies offer 50% discount, 60% discount, and even 70% discount at times. But in most cases, the concession is only valid when you purchase their plan for a specific duration like 12 months or 24 months, after which normal rates apply. Majority of people purchase web hosting packages in excitement of the cut, without realizing this tiny glitch. And as a result, there are mishaps and misunderstandings and a lot of other problems. So, to help all those independent website operators and those firms who are looking for an ideal web hosting service provider or domain registrar, to help you set up your website, and boost your business, we’ve come up with this comparison blog. Below are 10 of the most popular web hosting service providers in the world, with their most opted packages, the discount price, the real price, and all the other crucial figures that you need to know about before making a pick. One of which is inode – a very important thing that you need to consider before opting a service provider/ package. It is a limitation given to the user to keep a track of image files, pages, emails, anything that consumes space, in the website. If you upload 1 file on your website, it uses up 1 inode. These are the 10 best web hosting and domain registering service providers of 2018 in terms of their service charge, quality and features. Sharkhosting is a company from London, UK. Established in 2015, currently it offers its services to the companies from over 84 countries. It’s the cheapest hosting service provider on our list, but that doesn’t affect their quality of service, speed or efficiency by any means. It’s highly recommended company from our side. I have been using their services and my demo website https://www.hawkdivemedia.net is hosted with their UK Shared cloud hosting package. The following features are of its most popular Blue Shark hosting package. Use special coupon code SHARK501324 for 50% off on annual plans of Blue, Tiger & Whale Shark packages. Interserver is an American Company based in New Jersey. It has been offering hosting services for the past 19 years, and is known for its high quality, affordable and reliable services. Currently, it provides Dedicated, Shared, Quick and Cloud Hosting. It’s another hosting service provider that we’d like to highly recommend to our readers. We would like to call it as one of the best web hosting providers of 2018. The features mentioned below are from its special $5 Price Lock package. No price change at the time of renewal. 1&1 is a German web hosting company established in 1988. Apart from shared, dedicated and cloud hosting, it also offers services like website development, email solutions and other internet based services. It’s one of the world’s biggest hosting companies with its offices located in 10 countries. The features mentioned below are from its special offer Basic hosting package. Hostgator is an American web hosting and domain registering company based in Houston, TX. It was founded in 2002, and since then, it has been offering incredible services to website operators around the world. Its parent company is Endurance International Group, the same organization that owns Bluehost. The features mentioned below are of the special Hatchling web hosting plan. Hostgator is also offering a huge discount on the first month subscription of Hatchling Plan which would cost just a penny ($0.01) for the first month, Click here to subscribe to Hathling plan from Hostgator. Dreamhost is an American web hosting provider, based in Los Angeles, California. It was established in the year 1966, and since then, it has offered great service with amazing customer care. It provides shared, dedicated and VPS web hosting, along with other internet based services like website building, internet marketing and so on. This is the first in our list of web hosting providers that really provides most of the features unlimited. The features belong to its special 3 years shared hosting package. GoDaddy is an American web hosting company, with its headquarters located in Scottsdale, AZ. It is considered as the biggest hosting service provider and domain registrar in the world, with its offices situated in more than 50 countries. 21 years of service to the industry, and the size of the organization add quite a credibility to its name. The features mentioned below belong to the GoDaddy’s special Economy web hosting package. Bluehost is an American web hosting company based in Utah. It offers shared, dedicated and cloud hosting, and other internet services. It is one of the largest web hosting company in the US. Along with its sister company iPage, it is said to host over 2 million domains. The features mentioned below are of its special Basic web hosting plan. Inmotion is an American Company based in Los Angeles, CA. Serving its clients for more than 15 years, it offers mainly dedicated and shared hosting, and other web based services. It is known for providing reliable, fast and affordable service with customer service that available 24/7. The following features belong to the Launch Web Hosting package offered by the company. Note: In various packages above, the free domains that you get is only valid for one year. After one year, you’ll have to pay yearly renewal fee, which would depend on your domain, every year, for as long as you use it. So, if you’re planning to register a domain for yourself, or purchase a web hosting package, make sure to go through and analyze all these features. Your needs might be different from the businesses, or people, around you, therefore, consider your requirements above everything else, and act accordingly. Unlike the companies mentioned above, Digital Ocean is a cloud hosting service provider. Established in 2011, it’s an American Company with its headquarters located in New York City. Based on the quality of service that it offers, the reasonable price, it’s one of the best cloud hosting service providers in the world. To make sure that its customers get the best cloud computing experience, it has centers in 12 countries around the world. It is highly recommended to anyone who’d like to try fast cloud hosting service and find out themselves the taste of this unusual web experience. The following are the features of the most affordable package from Digital Ocean. ** Cloud hosting is a dedicated hosting where you own the virtual server so you need to choose yourself an operating system and application to install through dashboard. SSL is also installed separately and has very complex method to do so. Vultr is also a cloud hosting service provider. Established in 2014, it’s an American Company with its headquarters located in New Jersey. It has its centers in 15 cities around the world to ensure that all its users experience the best form of cloud computing – fast and reliable. It’s one of the best cloud web hosting provider with real fast and optimized server. It allows one click installation of various application and operating system through its dashboard. Undoubtedly, it’s one of the best cloud hosting companies in the world. And so, we highly recommend it to anyone who wants to go for cloud hosting. The following are the features of the most affordable package from Vultr. Those were the 10 best hosting providers of 2018 as per our analysis and test keeping the price, quality of services and features in mind, we have listed them from top to bottom. For cloud hosting we recommend Vultr the most because of its most scalable system and various exclusive features. For shared hosting, if you are going to launch a small business website or need a personal blog or simple business information website, we think buying the hosting plan from “Sharkhosting” is the best option. If you are planning to host a small business or medium enterprise eCommerce site then we would recommend InterServer as the best and most affordable. Choosing the right package or company will make a positive impact on your website, and help you get better outcome, as a result of effective marketing. It also saves you a lot of money and time in moving or migrating your website to another server in case of heavy price surge. I hope you liked this blog, please share this with your friends and relatives to help them save their time, money and effort. If you have any confusion, query or question in choosing one the above service provider, feel free to ask question through the comment form below. Previous articleHow to Enable PHP Zip Archive Module on GoDaddy’s Shared Hosting?